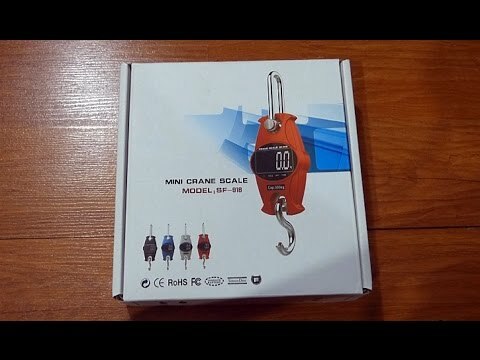 The 300kg portable Mini Crane scale features digital/electronic weighing options with LCD display. 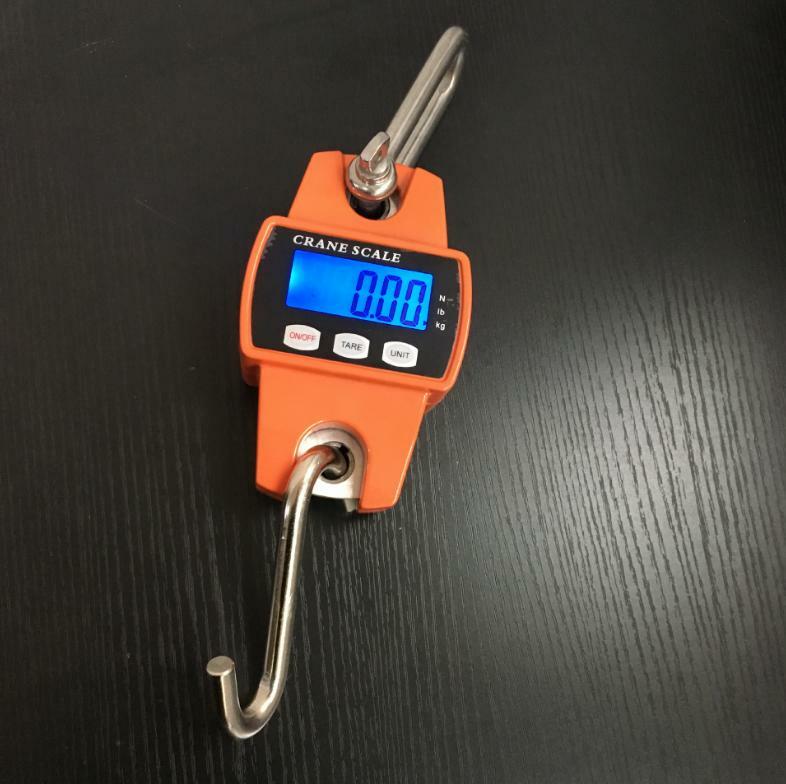 It also comes with adapted stainless steel hooks to solve the problems of weighing heavy items such as harvested products, feed ingredients prior to milling, finished feed, animals etc as well as grade products into required weights. 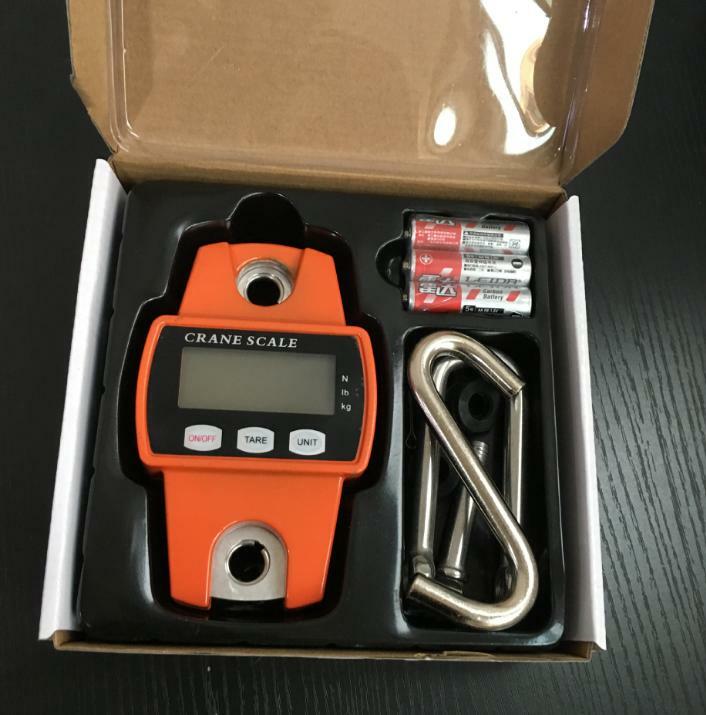 It has unique features of easy readability, accurate and consistent measurements, easy to use console/switch options as well as adaptive overload alarm. 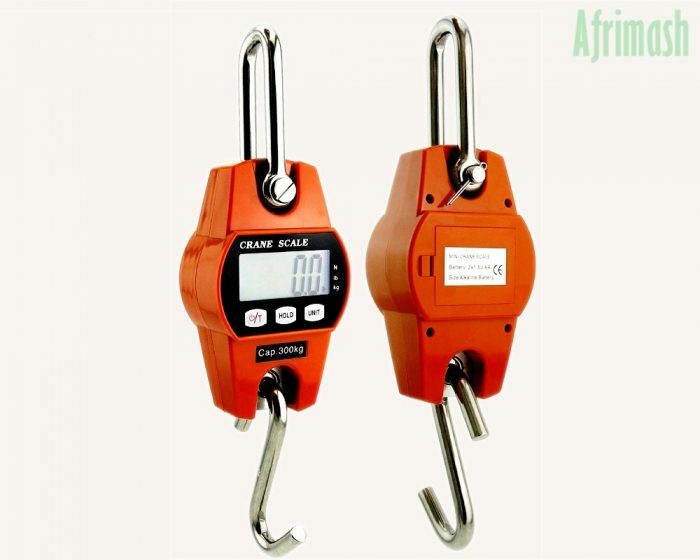 This portable scale offers flexible, adaptive and accurate measurements of farm products within a weighing capacity of 300kg. 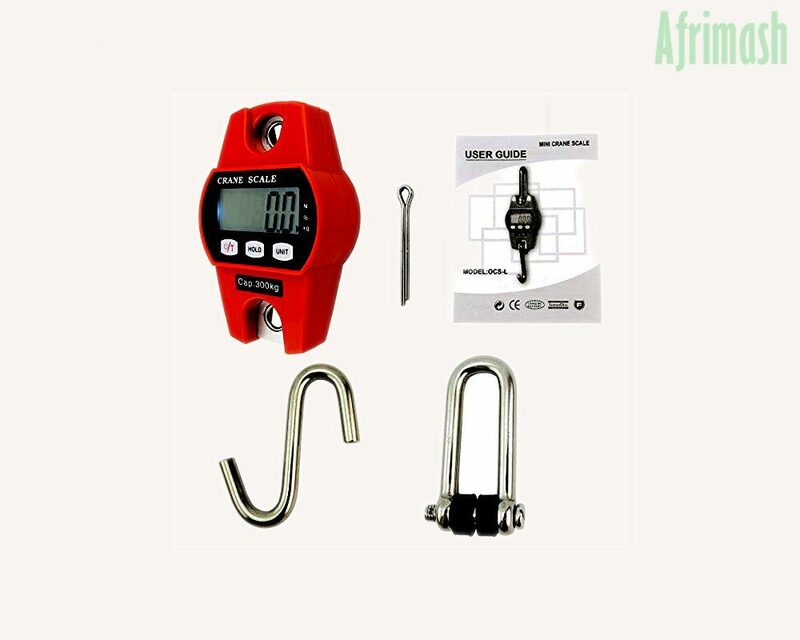 It features a digital gauge that enables further accuracy and precision in weight measurement. It is suitable for supermarkets/retail stores, feed mills, warehouses, workshops, agricultural market, farms, industries etc. Enlarged screen/display: Features 2″ long LED display with white backlight and huge black numbers with high-precision visibility of over 10 meters distance. Accurate/sensitive readings: High quality adaptation for taking consistent and accurate measurements of 0.1kg to 300kg (graduation increments of 0.1kg). readings instantly get adjusted once load changes. Adaptability and user-friendly design: A simple device (with manual) which can be hanged, then loads fit into bags and attached to hooks (load receptors). Readability: Features Autozero, Zero, Tare, Hold, Auto power-off/on, battery supervision, overload alarm, and unit switch functions. Portability and safety: Safely adapted load receptor, shackle and hook are made of high-quality stainless steel, thus offer sturdy and durable attributes. 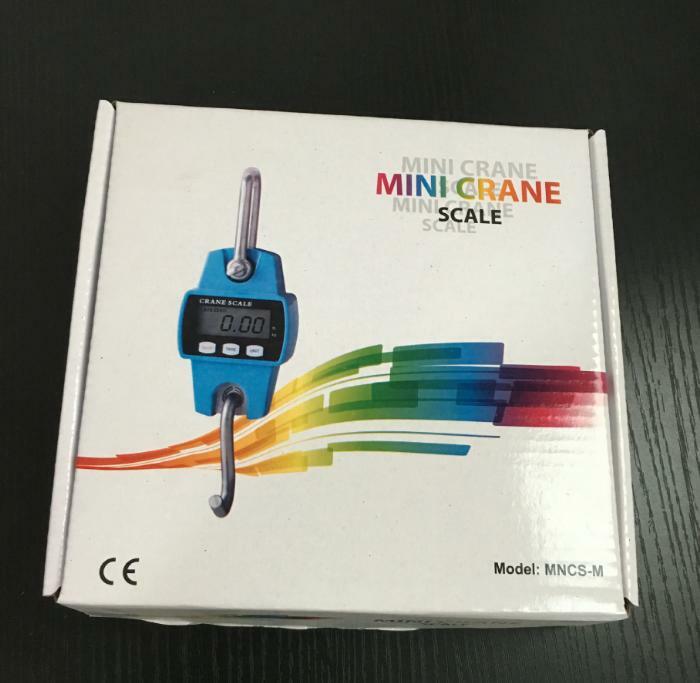 Multi-purpose features: This scale is hand-held and very portable. Thus, it can be adapted for farms, hunting, fishing, workshops etc. Digital indicator (with LCD displays).